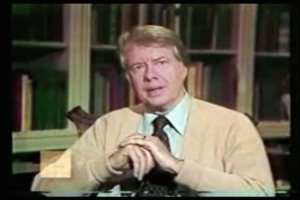 For those who don’t remember, Jimmy Carter gave a very famous speech to the nation in 1979, known variously as the “Sweater Speech,” the “Malaise” speech, or the “Crisis of Confidence” speech. Some blame this speech as one reason he was not re-elected. However, if we had followed his advice, we as a country (United States) would be in a much better position today. Along similar lines to John Michael Greer’s post, is a piece by Mark Watson, from the Transition Network: Energy Descent is Cool! Even When Its Bloody Cold. In our household we turned off the oil-fired central heating. We haven’t turned it back on since, apart from on really cold, damp winter days when clothes just won’t dry. The first winter was tough. We lit two fires a week in the woodburner and discovered the amazingness of the Hot Water Bottle and wearing more layers of clothes. The group’s monthly meetings were important for keeping our spirits up in that first year and we could report on our successes and failures. Going into buildings with the central heating on began to feel unnatural, and going outside on a winter’s day was sometimes warmer than staying indoors. 2010 was easier, though the group was no more, and last year (which was a milder winter) was almost a doddle. Energy descent. It’s not particularly comfortable. Though at some point it’s inevitable. Best to start now and make it an adventure. Andre: I wouldn’t put on an electric blanket for any reason. First, I’d be worried if I get electrocuted. No, I don’t trust technology. But I mean, the main thing, Wally, is that I think that kind of comfort just separates you from reality in a very direct way. 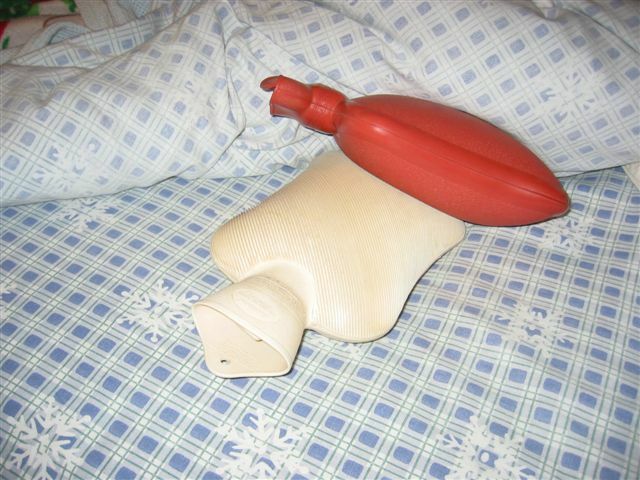 In our household, we’ve enjoyed hot water bottles for a number of years now, and have recently added hot rocks to our bedtime routine. The rocks are stored on the heater by day, and get transported to the bed at night. We’ve also found that moderate exercise every day helps raise our body temp and helps us feel more comfortable in the winter. Our Christmas involved gifts of quality drying racks, insulated underwear, flannel PJ’s, and insulated outerwear. All of which has prepared us for the next step in sustainability: the thermostat has been turned down another couple of degrees.